FaderPro | In the Studio w/ KO:YU | "Don't Wait"
KO:YU is a Turkish/German DJ and producer who specializes in progressive house and electro house. He has received worldwide support from acclaimed DJs such as Avicii, Swedish House Mafia,Tiësto, Dada Life and Fedde le Grand. He was named an EDM artist to watch in 2012 by MTV. He lists Daft Punk, disco house and later on progressive and electro house as influences. One of the most incredible things about dance music is its never-ending search for innovation; new sounds, new styles, new projects, always moving forward. KO:YU is an artist who embodies that ethos. 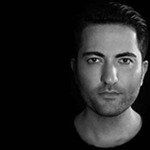 Previously known under the name Deniz Koyu – a shortened version of his birth name – KO:YU has already achieved far more than most. But his new project is set to be the most exciting step in his musical career since he laid his hands on piano keys at the age of five. This is by far one of the most anticipated courses we have ever produced at FaderPro. From the tweets, the messages on Facebook and direct emails of fans & producers alike both requesting and asking, “WHEN”? Well, now it’s actually happening and in perfect timing for his big Spinnin records and new alias release with what we think is one of the biggest records of the year. Enjoy learning how the production of, “Don't Wait” feat Example was made.